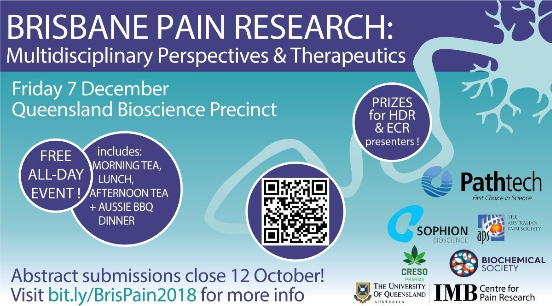 We are happy to assist in making the Brisbane Pain Research symposium on 7th December a success. The aim of this symposium is to stimulate scientific discussion, collaboration and ongoing engagement to advance pain research and treatments. What’s not to like. For more information see here.